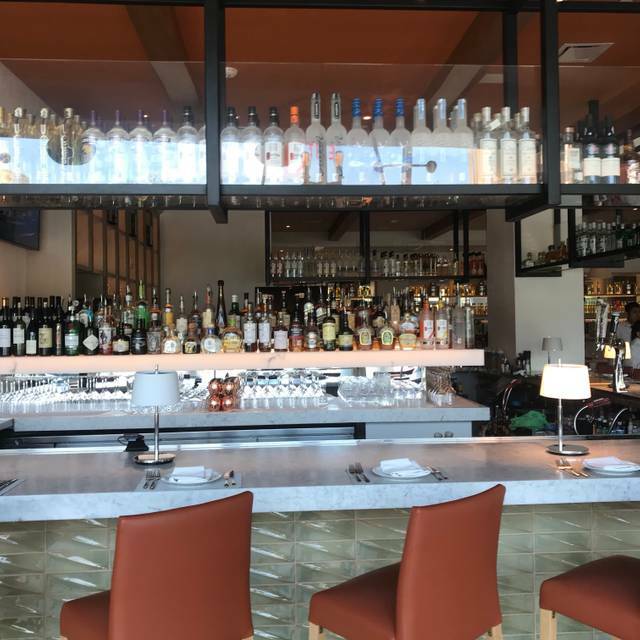 You must make reservations at least 5 minutes in advance of the time at Fig & Olive - Houston. Sunday through Thursday close at 10pm. The Galleria has a substantial parking structure available for visitors. Live or DJ entertainment to be decided. Otherwise ambient music on an approved, unobtrusive music playlist. experiences, including an expansive 160-seat dining room, a 24-seat bar and lounge, two private dining rooms with full state-of-the-art audio-visual components, and a 40-seat al fresco terrace emanating a casual chic ambiance reminiscent of summers spent on the Mediterranean. Got a salmon sandwich, the fish was a little old. Our cauliflower appetizer was bland and not roasted enough. The truffle fries were good and the desserts were good as well as the drinks. But our entrees were disappointing. Service was good. The wait staff did not want to help us and were very rude and dismissive. I think the food and service both went down. The food taste not as delicious than before. Definitely feel not worth for that price. We were there to celebrate a birthday, but the service was just alright. No special dessert offered for birthday. The hot water has damp smell properly from the water bottle, which they should clean and dry better especially for a high end restaurant. Seems mismanaged. Not recommended for that quality and price. Went to the restaurant for the 1st time for Happy Hour after work. Really enjoyed our time there and our food server Jeff F was very good and professional as well. Food was very average and entree selections were too few. Service was awful! Very friendly bartenders and waitress, but it took 15-20 minutes to get a drink every time we ordered one. And the restaurant was not packed. Waitress was very friendly but inattentive. We actually left before ordering an entree bc we were not impressed. We won’t be returning. 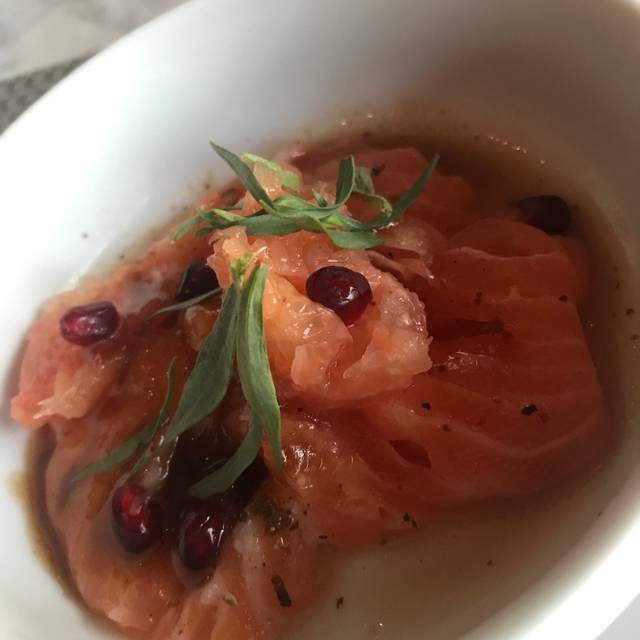 The Fig & Olive has excellent food and a great ambience. The only problem is the service has slipped somewhat. The management need to get a handle on the standard and consistentency of service going forward. Great food and service! First time and won’t be the last! I love the restaurant for its open and fresh look . There’s not too much for vegetarians. But the risotto , i ordered was delicious . The only thing this time , the server wasn’t too friendly, had to remind him to bring the bread and also the pepper grinder for the risotto. They usually ask and bring the accompaniments on their own . The atmosphere was classy and great for a date night or even a ladies night out. 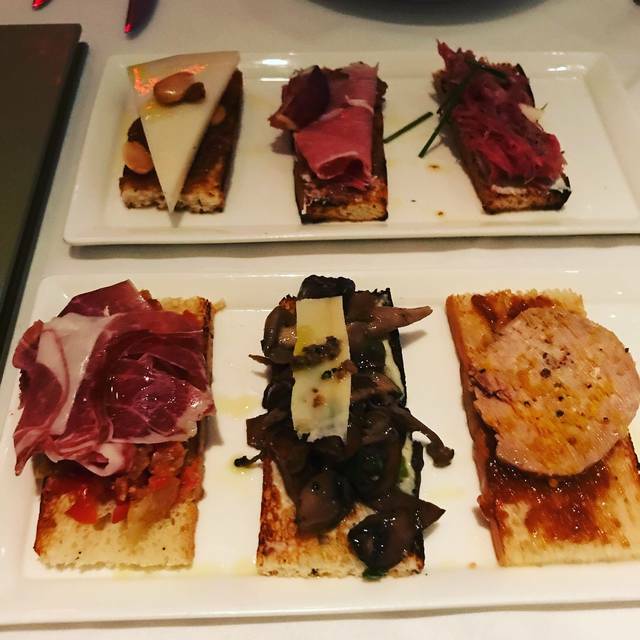 The crostini was excellent. 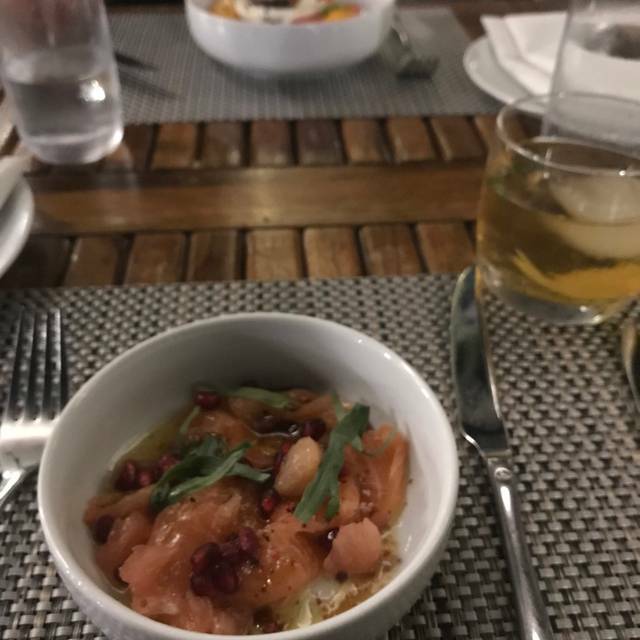 I had the Fig and Olive salad which was delicious and plated beautifully. I added the salmon which was cooked perfectly. I love that the had a dessert that comes with a coffee or tea, praline bite, and a small pot de creme. I’ll definitely come back. Went on a Saturday night. It wasn’t even half full. We ordered the hamachi crudo and the squash with burrata for starters. The crudo had a strong fishy aftertaste and was sent back. The squash with burrata was better but the acorn squash in the dish was dry and mealy. The entrees improved but the service was lacking. We had to ask to have our appetizer plates removed since they weren’t taken before our entrees were served. Too many problems for a well established restaurant chain. Will not be back. It was our first visit to this restaurant and we were not disappointed. 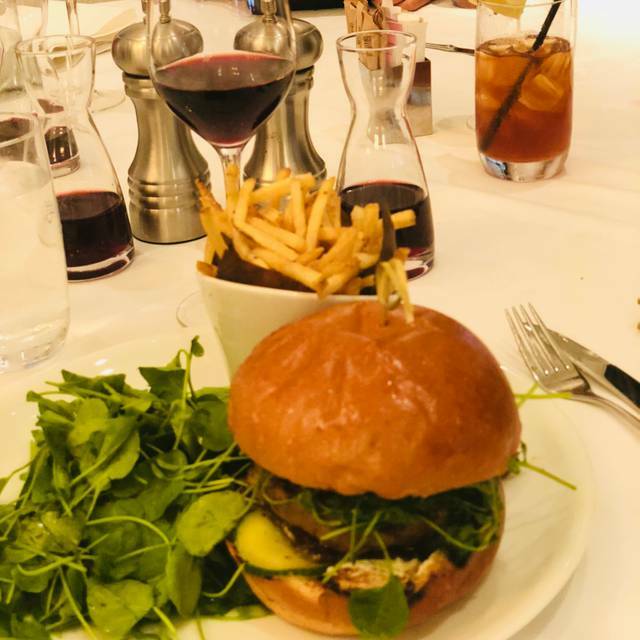 The room is beautiful and the food and service were amazing, will definitely return next time I’m in town. Nice location with Valet service right at your doorstep. Hostess was friendly and wait staff went above and beyond. Nice wine selection and appetizers. The food is good. The plates are a little skimpy in portions. Great food, Not the best service our waiter was very rude but the GM was great and made up for it!! 1) Beware of going on the weekend unless you are well aquarium need with the Galleria area traffic and parking. I went through three lots to find a place to park after fifteen minutes in traffic. They do have valet parking and I would recommend using it. It would even be torture for an Uber driver. 3) Veal was quite good but the underlying risotto was not. 4) Waiter never even asked if we wanted more wine. For the price of the entree I would not go back but if I was in the Galleria shopping I would go for the yummy flat breads. The appetizers were delicious, so I was looking forward to the main course with steak. I asked for medium though, and it was very clearly medium rare to rare. The server sliced some of the steak for us before fully serving to us, and his difficulty with getting the the thin cuts clearly showed the pink rareness. 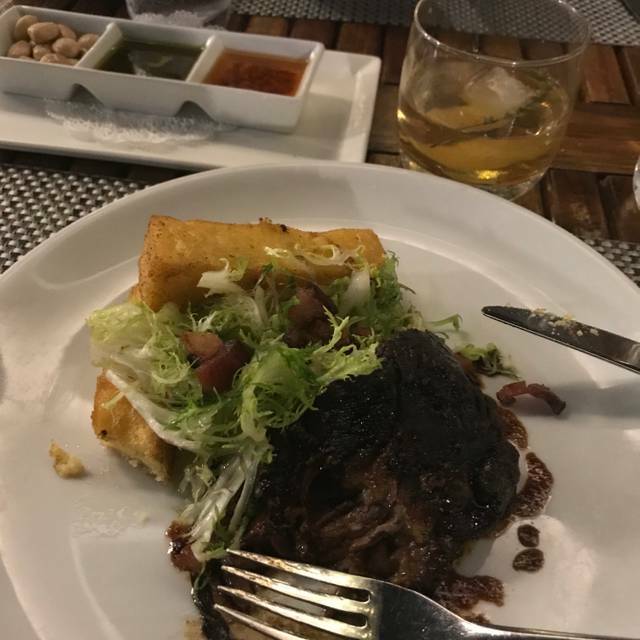 Pretty disappointing for a $150 meal. Using a limited menu several days after Valentine’s Day is pretty lame. I made reservations a weeks before for Valentine’s Day and we end up almost sharing a table with another couple, that was uncomfortable. Food is always good but service was a kind of slow, but it was a busy night so I get it. 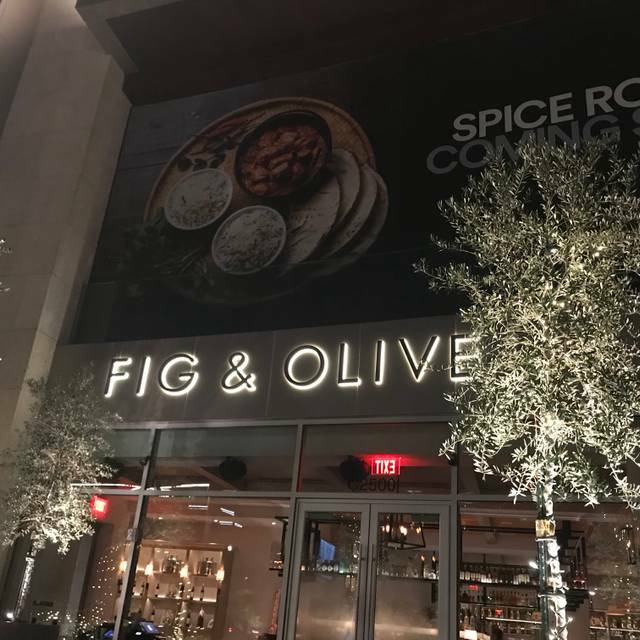 Since moving from NYC, I have greatly missed the Fig and Olive. The service, ambiance, food was as expected (excellent) and my only minor complaint was the noise level. Such a shame the kitchen got backed up... took 3.5 hours to serve dinner. Food towards the end of the night was rushed and undercooked. The cocktails and the bartenders were excellent. When table staff apologise for things taking so long, you know they’ve got problems. 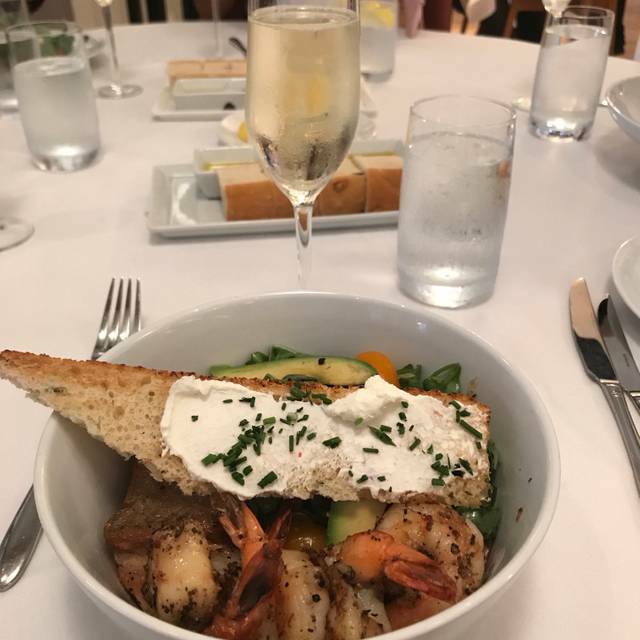 The food was really fantastic. So so good. Every plate. We went on Valentine's so I knew it was going to be pretty busy. Just felt like the wait staff should have been prepared for that. We waited for about 10 minutes for water and then each plate after that took a very long time. Once we were ready for dessert we waited for 20 min and then asked the waiter to go ahead and pack it to go and give us the check. It was good - very good actually - but it wasn’t anything that makes you want to come back. Food & service were good. Front desk hostess was either distracted, new & did not yet know what she was doing, or else her attitude was bordering on rude- not sure which it was- but it did not start the evening off pleasantly. Fortunately, our waitress was personable & attentive, so we quickly forgot about the hostess. Food was good, but menu is definitely limited. This is our 3rd visit to the restaurant in Houston. We had loved it when we visited in NYC, but the menu changed significantly by the time it came to Houston. I don't know if we will come again. 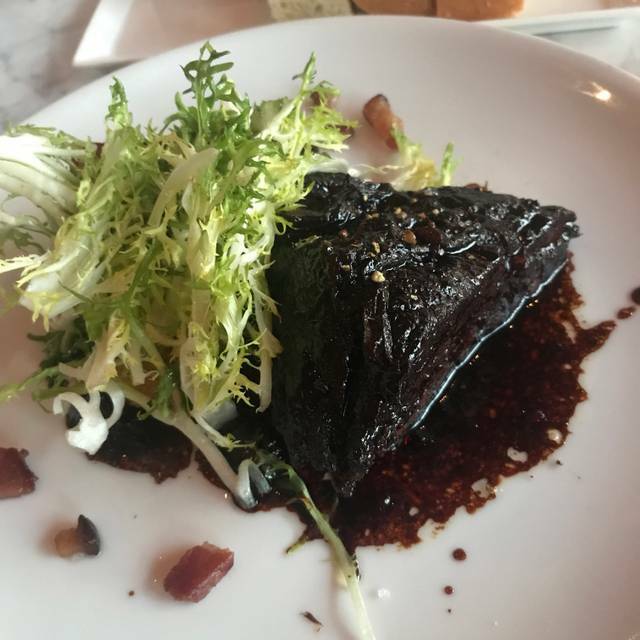 First time at this Fig & Olive, I’ve dined at others. Great service, food, and ambiance. Yes, however I would recommend it for early dinners or late lunches because the noise level can be very high. Venue, server and food was excellent! Extremely small portions for what you pay. My sisters salad was very salty and the server said he’d look into it and never did. Worst avocado toast I have ever had on a plain piece of toast with over cooked quail eggs and what tasted like grocery store pre packaged guacamole ($16 for what looked like a side dish). Was $300 for 4 people (about $100 was alcohol) and we all left hungry. Service was actually great just very disappointed with food. Especially since I recommended for my mom’s birthday. Service was great; enjoyed all the recommendations by our server Mr Bryan who was kind and knowledgeable. Lamb chops were perfectly seasoned and yes to the Brussels sprouts.